COCONUT CREEK, Fla. - Two adults and two children were seriously hurt Saturday after a multicar crash in Coconut Creek, authorities said. 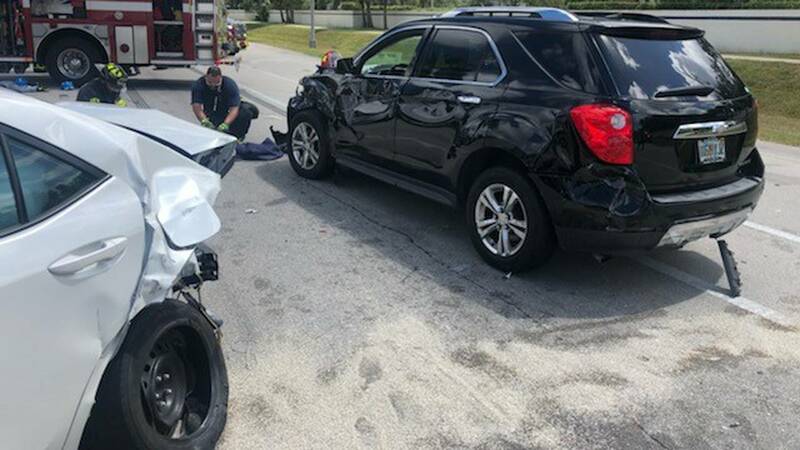 Matthew Whiteshield, a spokesman for Margate Coconut Creek Fire Rescue, said the three-car crash happened around 1 p.m. near Lyons and Sample roads. Paramedics transported the victims to Northwest Medical Center in Margate. Their conditions were not disclosed.